Why Tilt Your Head When You Can Bend Your Vision? Reading while flat on your back's difficult. You need to either prop up your head or hold the book awkwardly above your face. 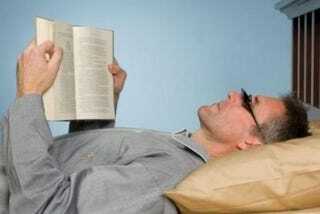 Why go through that when you can use these glasses to "bend your vision" and remain supine?